The teaching participation of Ph.D. students at the Physics Department is organised in a flexible point system for the different duties. The duty system was moved to this server for the WS 2015/6. With this there were introduced minor changes. Integral part of a Ph. D. at the Physics Department is the participation of all Ph. D. students in the education of undergraduate students e. g. within tutorials and lab courses. According to an agreement of the departmental faculty board ("kollegiale Leitung") each Ph. D. student participates in the teaching duties according to the percentage of her/his contract regardless of the specific funding source. 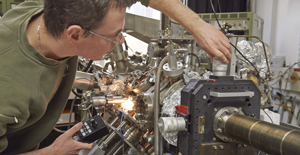 This participation in the teaching at the Physics Department ensures the inclusion in the academic environment at the Physics Department of TUM as required by the qualification programs of TUM GS. Teaching participation of Ph. D. students is administrated within a flexible point system at the Physics Department (see below). 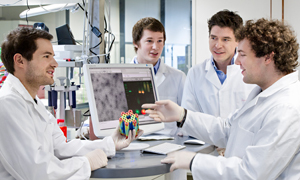 The point values of most of the duties is adjusted such that Ph.D. students on "Landesstellen" regularly fulfill their teaching duties according to LUFV. But be aware that the duty system sometimes assigns points to jobs which are not assigned any teaching hours by LUFV. The appropriate participation in the duty system is internal requirement for the final Ph. D. exam. You may find your current saldo of the duty systems account in section Duties Account. Other scientific staff members, who are not on the Ph. D. candidacy list and do not seek inclusion therin, regularly have a requirement for participation in teaching activities (in teaching hours according to LUFV) with an amount givin in the work contract. Each semester the fulfillment of this teaching duty needs to be reported to the Dean in a separat process. Hence in contrast to Ph. D. students for these other staff members participation in the departmental duties system is not required. They may use the system to get an overview over their teaching activities in their account letting their secretary enter all their teaching activities. The duties system account may be a basis for the separate report to the Dean. You may find your current saldo of the duty systems account in section Duties Account if your secretary keeps your account up to date. The individual point target for every Ph. D. student is booked in the account by the system (synchronisation takes place at 15th and last day of each month) and can then be edited by the secretaries. Should you suspect a mistake here please check with the secretary of your group directly. For Ph. D. students with a supervisor outside Physics Department with no association to a group within the Physics Department administration is done by the Dean’s Office. The point target is derived from the percentage of the contract regardless of the specific funding source. A 50% position here is equivalent to 1000 departmental duty points per semester. Ph. D. students funded exclusively by a stipend. The list of possible departmental duty jobs is given below. Other jobs, which for example only concern the own group (e. g. organization of a group seminar) or which are not part of the teaching activities at the Physics Department (e. g. IT administration), cannot be accounted for. In the same way teaching activities in other departments or universities are not departmental duties. In general teaching and exam activities for the modules are organized within the groups of the respective lecturers. For the large courses, that are coordinated centrally, there is the Page for planning of the teaching activities. Coordination of a Lab Course at WZW (1 course): Coordination and supervision of the lab tutors in a lab course at WZW. Second correction of the final lab exam. Usually in addition to the tutoring of one group. In special cases a discount is given on singular duty jobs. For the SS 2019 the following table summarizes the discounts granted by the Dean of Studies. Mobility Discount WZW (exam): Due to the extended time necessary to travel to the WZW a discount is added to duties in supervision and inspection of the exams in Experimental Physics for WZW. Mobility Discount WZW (first-contact week): Due to the extended time necessary to travel to the WZW a discount is added to duties in tutorials for Experimental Physics during First-Contact week for WZW. Mobility Discount WZW (tutorial): Due to the extended time necessary to travel to the WZW a discount is added to duties in tutorials for Experimental Physics for WZW.